Two track from cult label Schnitzel Cuts with fly producer DS on the dials who heads straight to the club for two peaktime tracks that traverse the disco-house spectrum beautifully. A-side cut "Strategy" deploys crisp drums to a hooky B-line while rising strings permeate through a gentle side chain for a pumping arousal containing eyes-wide-shut, glitter ball energy and mayhem. 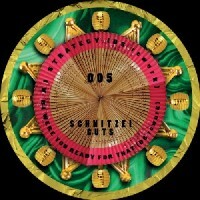 B-side cut, "Were You Ready For That" sees more loopy hooks layered up on the old sampler while skippy drums, clamoring horns and bougie strings - creative a flamboyant and impressive peak time baller. You want / need.